This is a review of L'Oreal Paris Dermo Expertise Gentle Lip and Eye Makeup Remover for waterproof make-up. 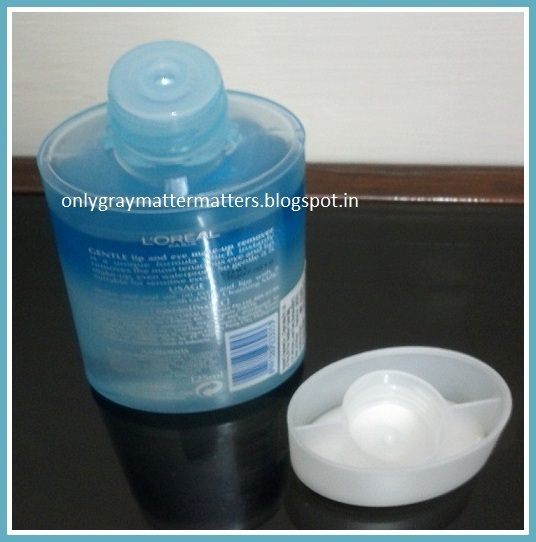 This is a suitable product for contact lens wearers. It is fragrance-free and absolutely irritation-free. L'Oreal Paris GENTLE lip and eye-makeup remover is a unique formula which instantly removes the most tenacious eye and lip make-up, even waterproof. So gentle it is suitable for sensitive eyes. Price: INR 425. 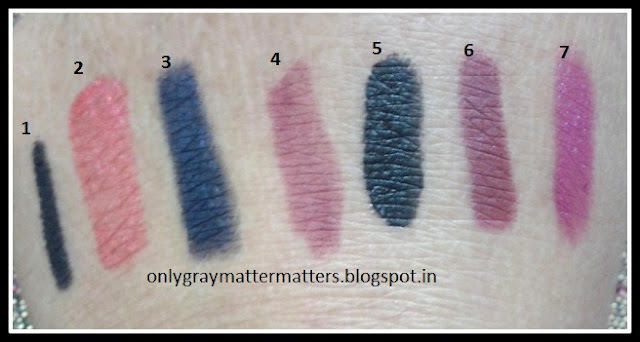 I had bought for INR 403.75 but medplusbeauty.com has now removed the discount. Availability: Easily available online, and offline in major cities. 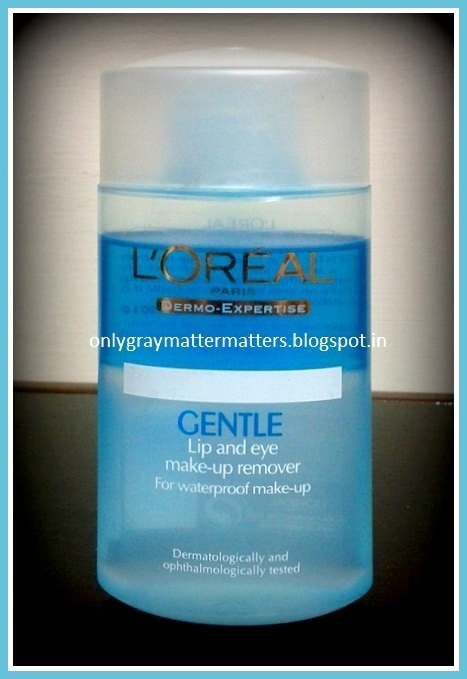 L'Oreal Dermo Expertise Gentle Lip and Eye Makeup Remover is a bi-phased makeup remover, meaning it has both water and oil, to effectively dissolve away and gently clean heavy and waterproof makeup. There are numerous similar makeup removers available in the market from various brands like Maybelline, L'Oreal, Neutrogena, Lakme absolute and premium brands like YSL, Lancome, Chanel and many more. Full ingredient list is present. Isopropyl Palmitate can be an irritant to some. I have very sensitive skin and it feels mild on the skin exactly like water. As you need a clean and even surfaced canvas to paint beautifully, you need a clear skin base to apply makeup and enhance your beauty. Therefore, while makeup helps you look good and increase your self esteem, it is equally important to clean that makeup before going to bed, so as to maintain a healthy canvas of skin to do makeup on every time. If you do not clean your makeup properly every night, you may soon end up with endless skin problems and increased skin pore size. I was earlier using Biotique Bio Almond Oil makeup cleanser. While it was effective and had no chemicals, it was a time consuming regimen to follow on a daily basis. So I decided to buy this. It made my life easy and I can now remove all Eye, Face and lip makeup within a few seconds, without any mess. This makeup remover did some magic. It leaves my lips baby soft and amazingly clean in a single swipe, it is so gentle! My lips no longer chap, which makes me think some chemical makeup residual was previously affecting my lips. It needs 2-3 swipes to completely wipe off stubborn waterproof mascara, so I rest the lids against the cotton for a few seconds and it comes off immediately. It cleans waterproof eye pencil in a single swipe. The blue oily layer floats on top of the white aqua layer. Like all bi-phased makeup removers, you need to first shake the bottle vigorously to activate the product (mix the white and the blue layers to bubble up). The two layers separate again after a few seconds, so you need to shake every time you want to take out more remover, which becomes a pain. It leaves an oil-like non-greasy film on the face, which requires cleaning with cleansing milk or face wash. 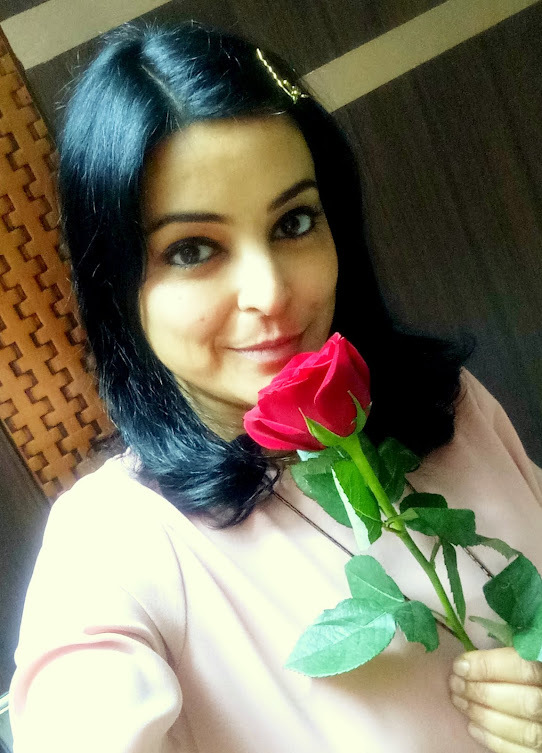 I simply wipe with a soft paper tissue and follow with Olay Foaming face wash which removes makeup residue. 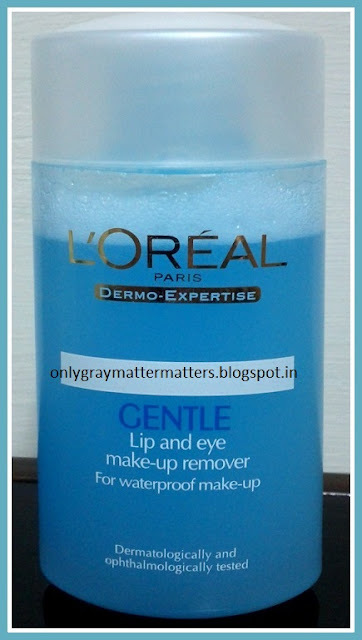 You can use any face wash or cleansing milk of your choice and not necessarily the L'Oreal Dermo Expertise GENTLE cleansing milk recommended on the bottle. This is an important follow up step as some makeup residue may still be sitting on your face in that oily layer, especially in the case of foundations and dissolved mascara. 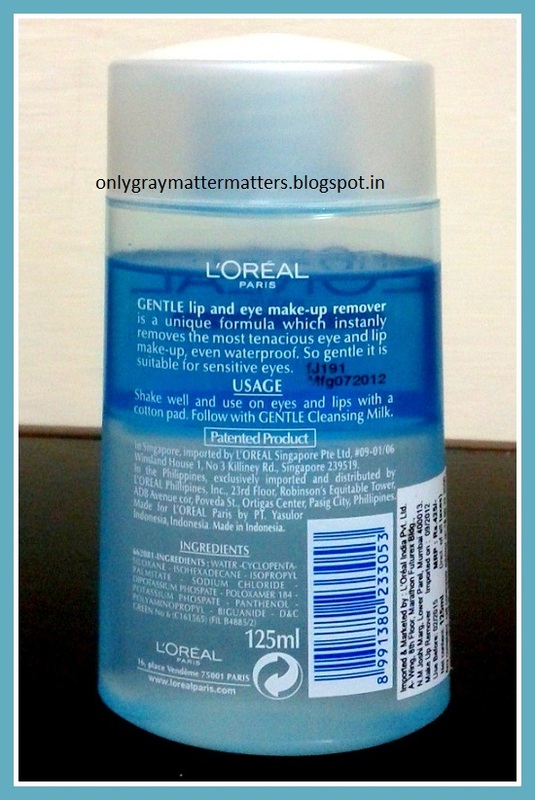 (L) Even the toughest Makeup is gone in 2-3 swipes with cotton ball dipped in makeup remover. Can you see the shiny layer left? 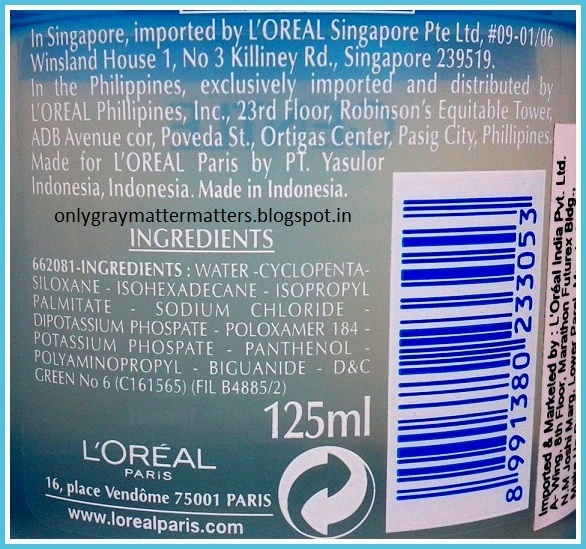 Most bi-phased makeup removers have almost similar ingredients. Buy any that gives you good value for money for the quantity provided and has the least harmful chemicals. This one should last me quite long. I will definitely try this. earlier i was under the impression that it is expensive but i did not realize that the Lakme one is half is price but also half the quantity. 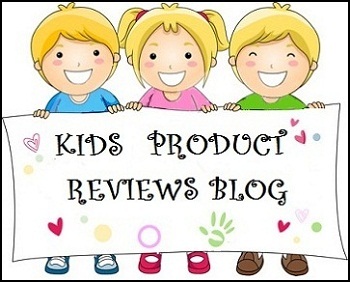 :) Nice review Gagan and thank for sharing this one. Thanks Niesha dear. 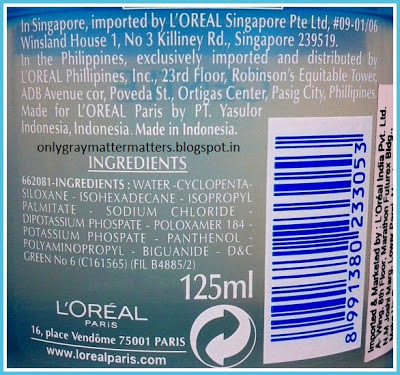 Besides the price, I found other chemical in Lakme bi phased makeup remover, which I would not like to come in contact with my eyes.